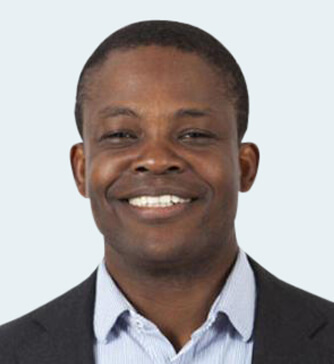 Dr Ademola Adejuwon is a Consultant in Sports and Exercise Medicine at King Edward VII's Hospital, with an Honorary Consultant post at UCLH. Ademola studied at Guy’s, King’s and St Thomas’ Hospitals medical school (now part of King’s College London) prior to completing his basic surgical training in the East and North Hertfordshire NHS Trust. He became a member of the Royal College of Surgeons, England in 2006. Several years experience in trauma and orthopaedics gave him first-hand knowledge of the surgical and non-surgical management of musculoskeletal conditions. It was during this time that he became involved in sports medicine volunteering for national sporting and charity events in Europe. He went on to complete specialist training in Sports and Exercise Medicine in the London Deanery. He has been the club doctor for Saracens Rugby Club since 2007 and England Under-16 Rugby since 2011. He is the Chief Medical Officer for the Fireflies Tour cycle ride, the Medical Director for the ‘7s and the City’ festival and the resident sports physician for the World Club Sevens tournament. He sits on the RFU Medical & Sports Science Technical Advisory Group.